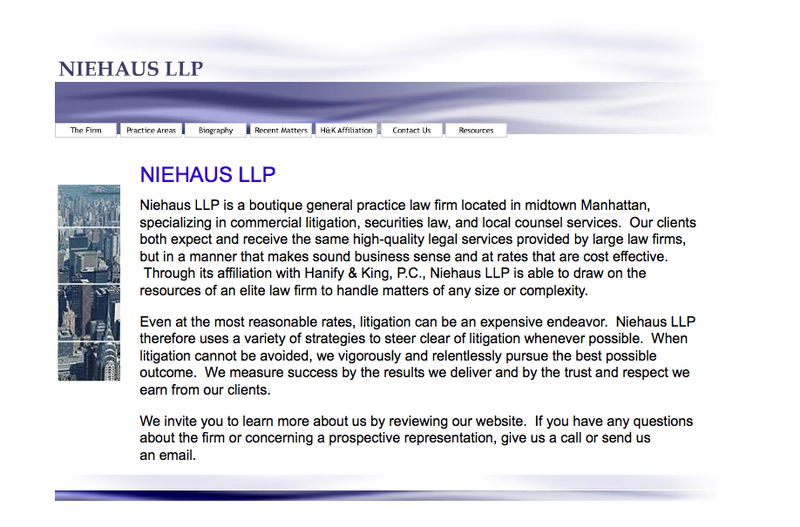 Earlier this year I launched a redesigned website for Niehaus LLP. 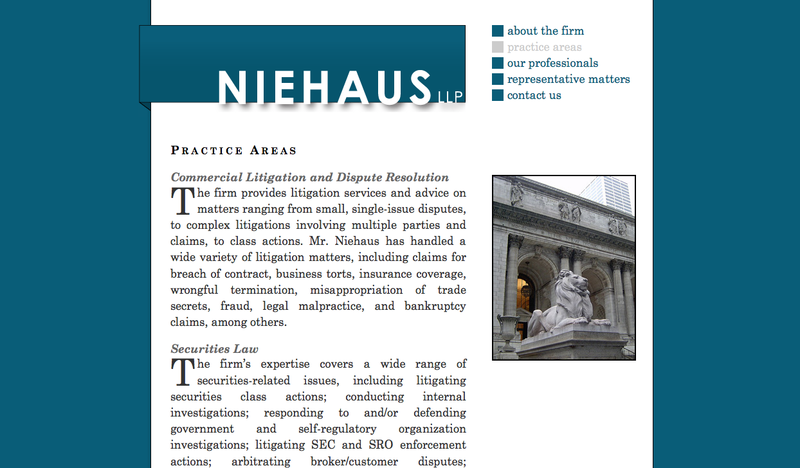 The brief from the client, a boutique law firm in Manhattan, was to create a more elegant site that exuded both the legal sophistication expected from a larger firm as well as the personal touch that clients can expect from a small firm. To that end, I designed a logo, reworked the site’s information architecture, and hand-built a new, standards-compliant site.